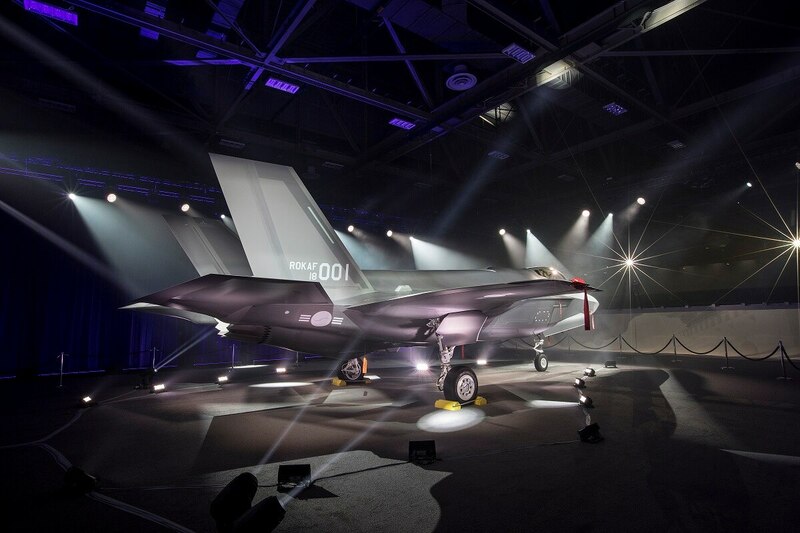 WASHINGTON ― Officials from South Korea and the United States gathered in Fort Worth, Texas, Wednesday to celebrate the public debut of the South Korean Air Force’s first F-35A Lightning II multirole fighter jet. Both a celebration of interoperable military hardware and shared values, officials from the two nations emphasized the F-35A will serve to protect peace and stability on the Korean Peninsula. While South Korean officials agreed that partnership on the F-35 was both militarily and symbolically important, they stressed the importance of on-time delivery. Two key Republican lawmakers are pressing U.S. President Donald Trump to share the F-35 or F-16V fighter jet to upgrade Taiwan's aging air power and deter China. South Korean Air Force pilots and maintainers will soon begin training on the aircraft at Luke Air Force Base, Arizona. F-35s will begin arriving at the Asian nation’s main operational base at Cheongju, South Korea, in 2019. South Korea is one of 11 countries procuring the F-35, and it plans to acquire 40 F-35As through the U.S. Foreign Military Sales program.